Prepare breakfast in paper lunch bags that includes a peanut butter jelly sandwich packed in paper sandwich bag, raisin box, an apple, canned orange or pineapple juice and a napkin. Distribute to The Salvation Army in Raleigh, The helping hands mission in Raleigh and Durham rescue mission in Durham. 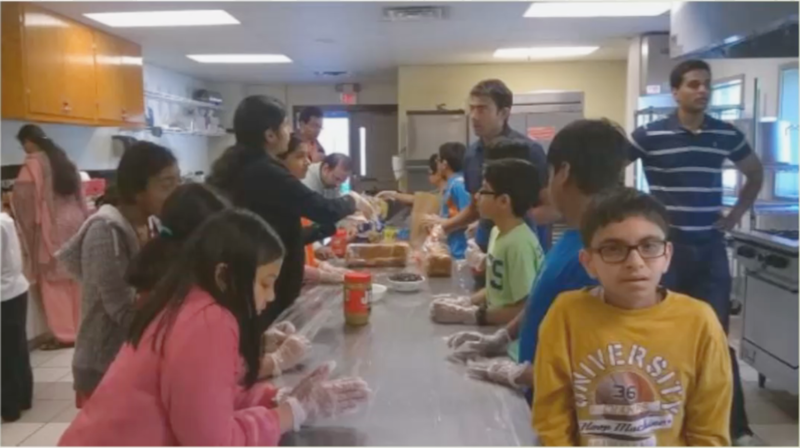 Every fourth Sunday of the month, volunteers from the Raleigh Sai center Prepare breakfast packets that includes a peanut butter jelly sandwich packed in paper sandwich bag, raisin box, an apple, canned orange or pineapple juice and a napkin. These are then distributed to recipients in about 6 shelters in the nearby and adjoining counties. This seva/service is often done at the individuals homes, while the young adults convene at the center to assemble it often with SSE kids. An average of 200 sandwiches are distributed every month that serve as a quick breakfast for Monday mornings for the needy. 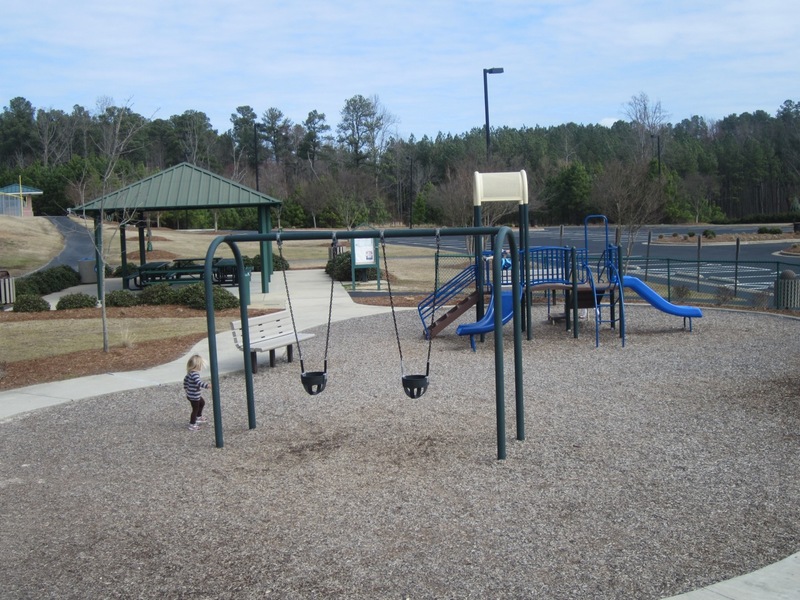 About 12 volunteers from the Raleigh Sai Center participate in cleaning parks working with the Town. The activity starts at 8 AM in the morning and continues for 2 hours with good participation from SSE kids – often raising awareness in their peer groups on avoiding littering and proper disposal of trash. During Christmas break, more than 70 volunteers from the Raleigh Sai Center and other groups in the area came together to stitch winter gear for the homeless. Seva activity involved cutting fleece cloth, stitching, quality control and packaging with everyage group participating with enthusiasm. SSE kids added their loving touch by writing a “Love All Serve All” message on each package. The gear included head covers for men; a scarf and head cover for Women. More than 500 different items were stitched and provided to various shelters in the area and some in the Fayetteville area for Women. 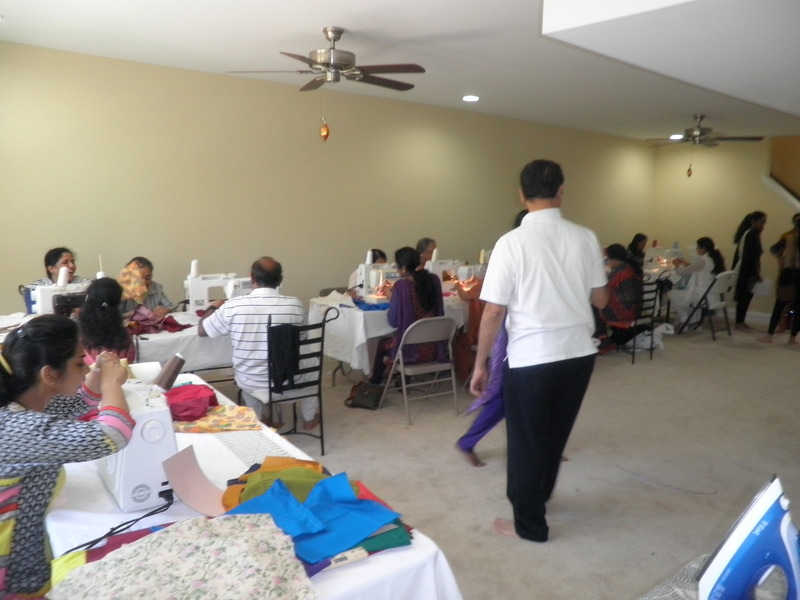 For Swami’s Aaradhana day, a two day service activity was undertaken to make clothing kits for newborn children – an idea borrowed from the Farmingdale center in New York. More than fifty volunteers participated on both days to make kits containing a blanket, 6 washable diapers, two dresses, a customized greeting card done by our SSE children in a cloth bag. All the clothing was custom made, washed and pressed before packaging into the bag. Kits are now being assembled and distributed to India as people travel for summer vacation. 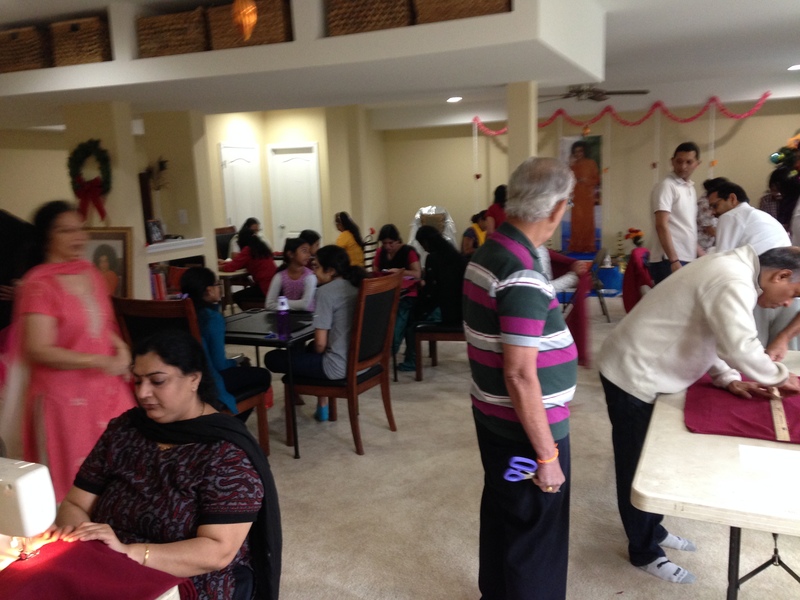 An unexpected outcome of this seva was volunteers wanted to continue this work at home during their free time making seva a part of their life instead of a center event once a month. The Raleigh Sai Center partnered with “Stop Hunger Now” organization and donated about 10,152 meals to the needy for Swami’s 90th birthday. The food items consist of rice, soy, essential vitamins and minerals and salt in a package. 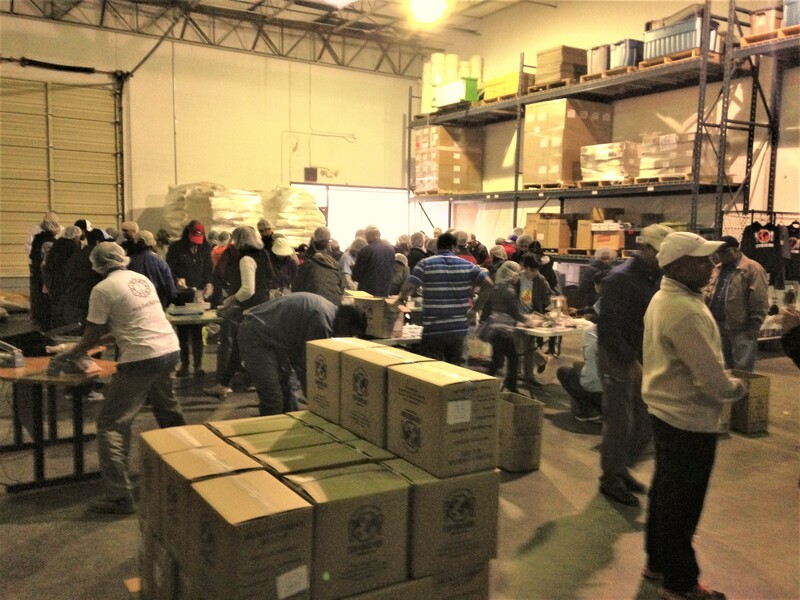 These items were packaged by Sai volunteers from Raleigh, Charlotte, Greensboro and Anderson Sai centers. Volunteers from Stop Hunger Now organization would make a porridge at the required site and distribute it to the needy. All the packages are bar coded for tracking purposes. It was later learnt that the food from this event was delivered to the needy in Haiti that is still trying to recover from earthquakes from several years back.